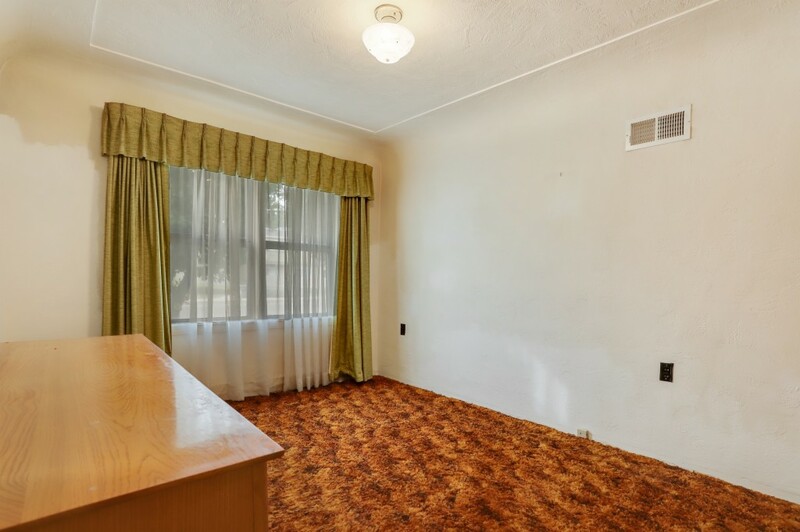 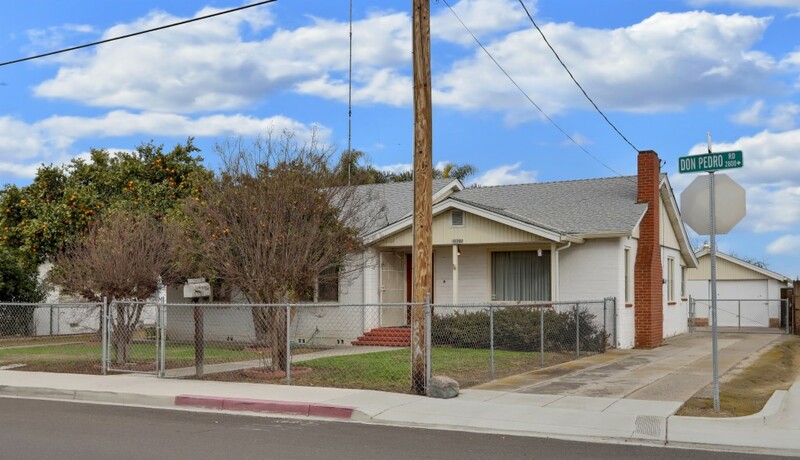 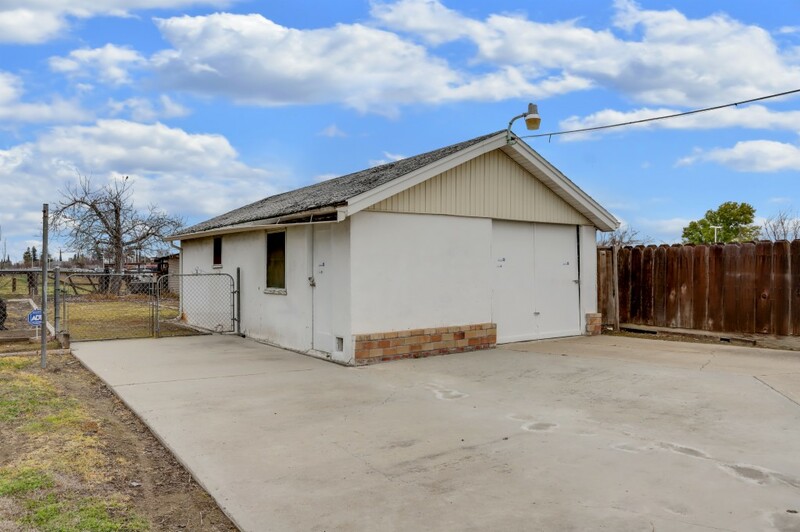 Corner property on almost one acre. 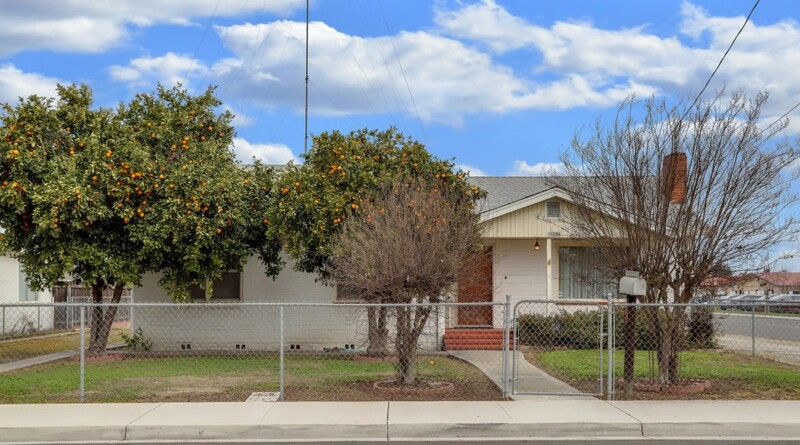 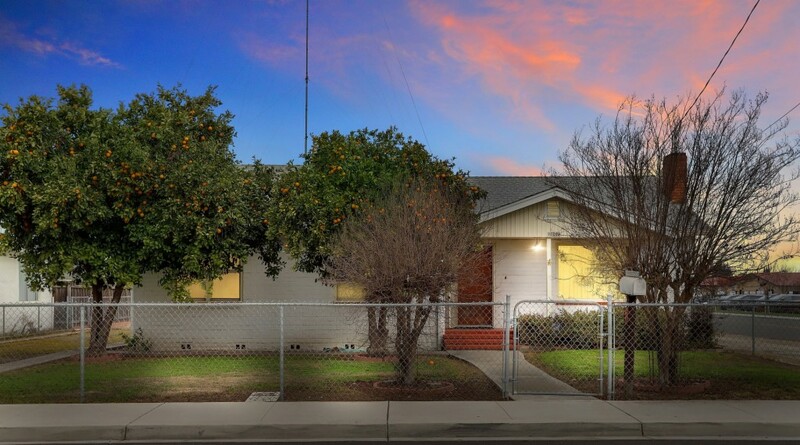 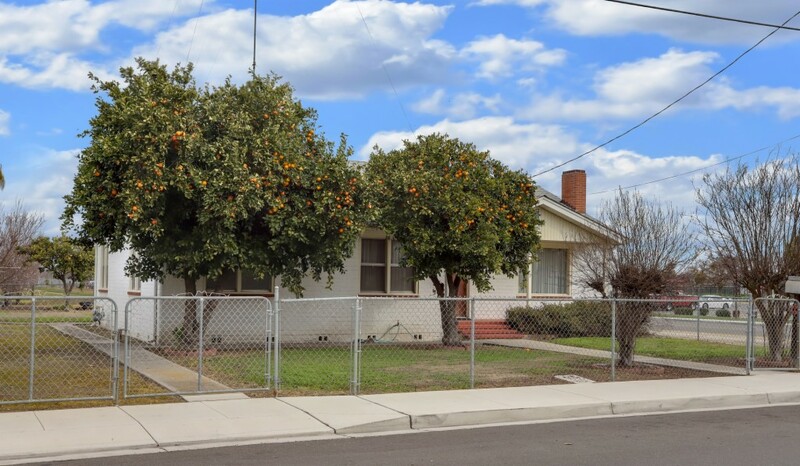 Surrounded by fruit trees this house has curb appeal and is full of character. 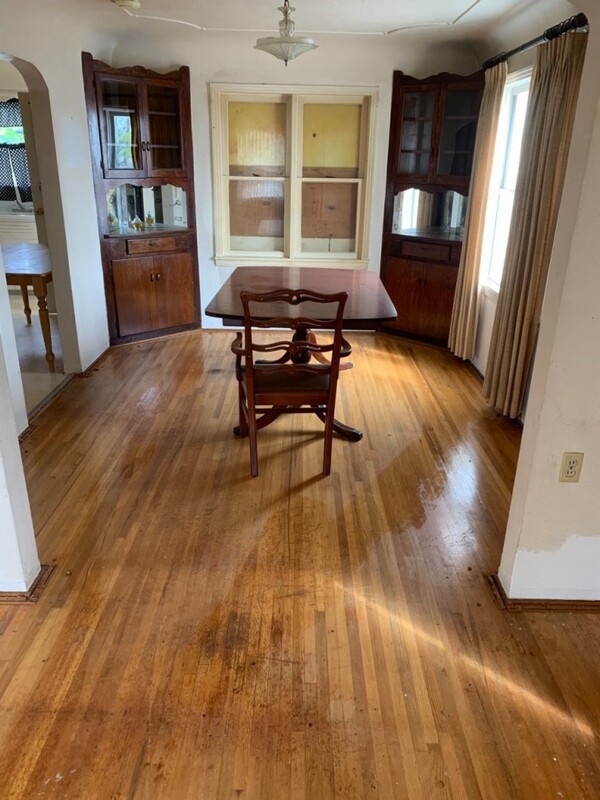 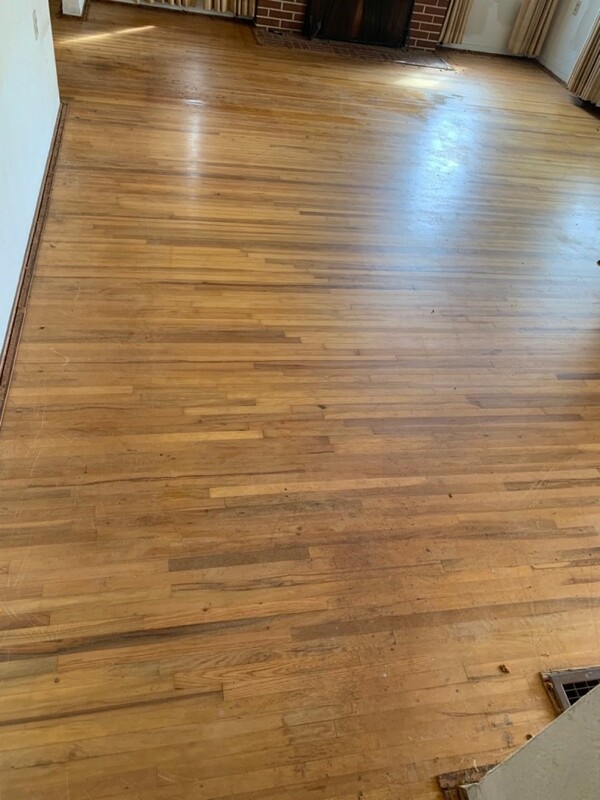 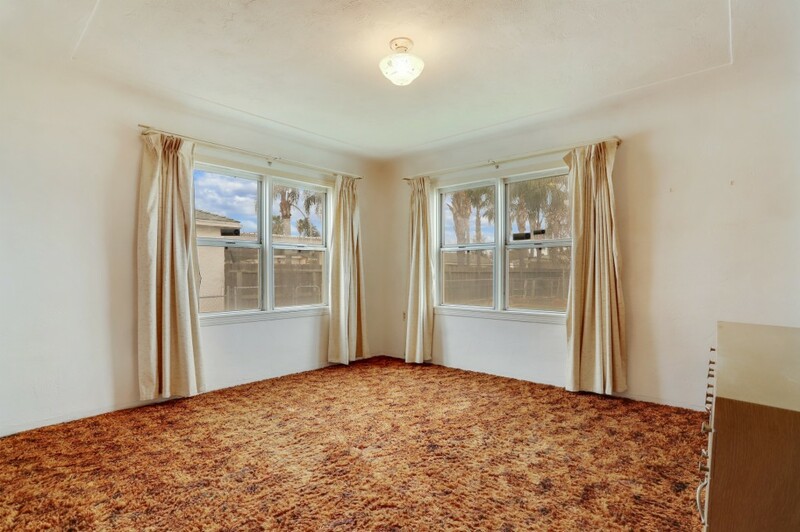 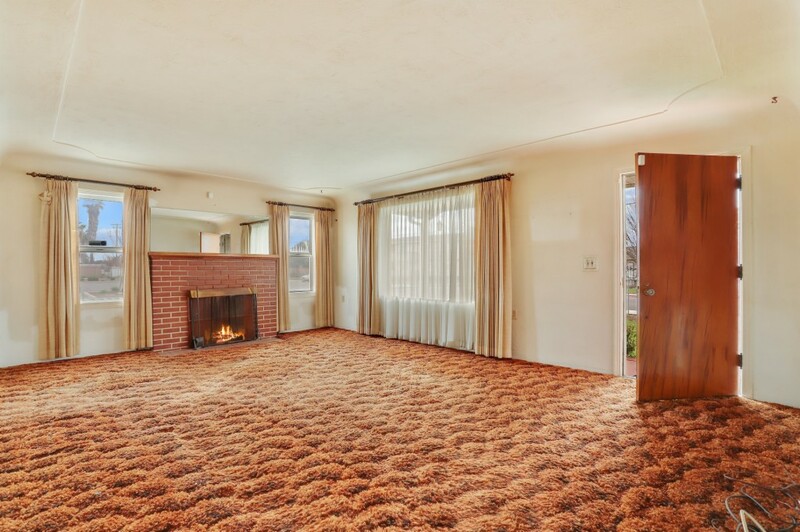 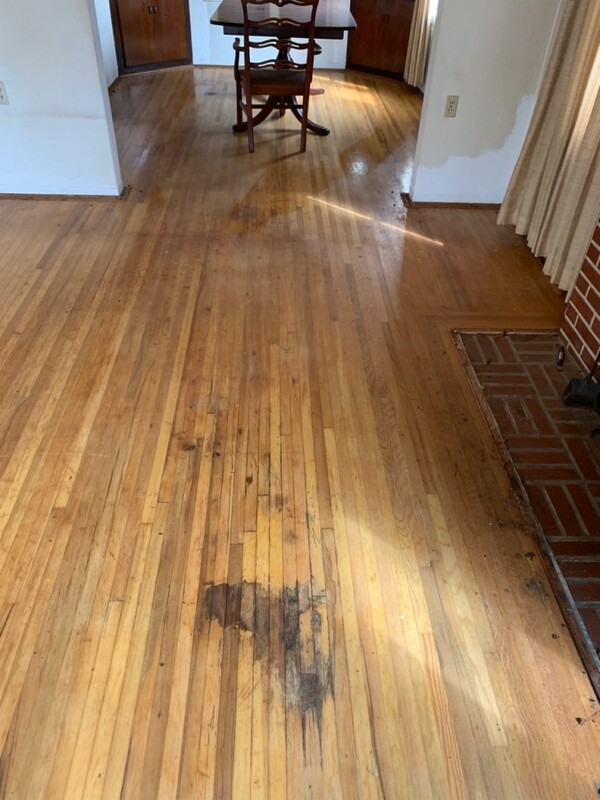 (NOTE: CARPET HAS BEEN REMOVED SINCE ORIGINAL PHOTOS TAKEN, TO REVEAL HARDWOOD FLOORS UNDERNEATH) Starting with the inviting front porch you enter into this craftsman style home with brick fireplace in the living room. 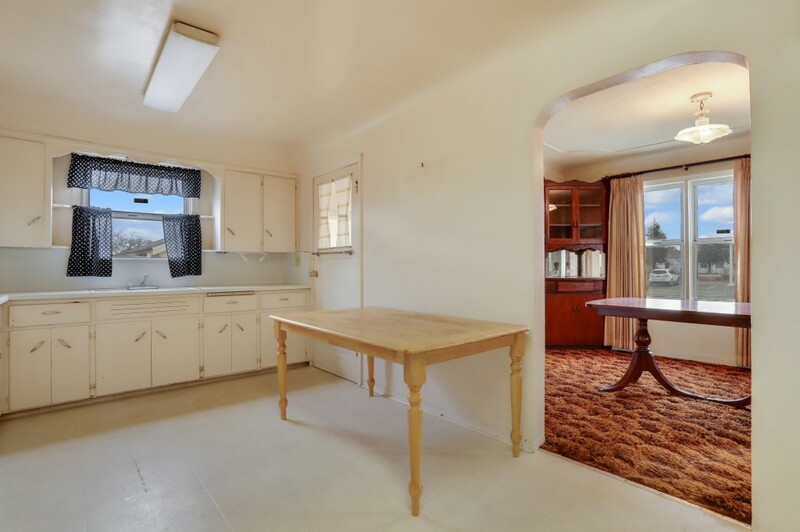 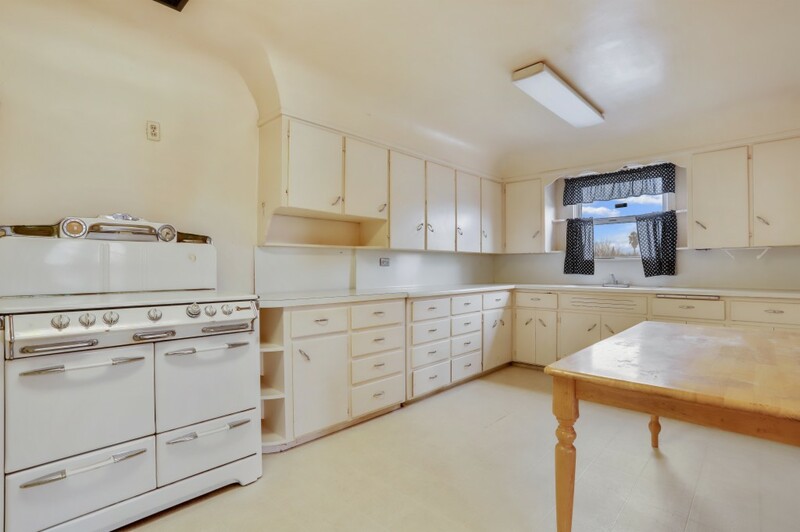 Go thru the arched doorway into the separate dining room with 2 built in corner hutches which leads to the large eat-in kitchen with lots of cabinet and countertop space and an antique double oven stove. 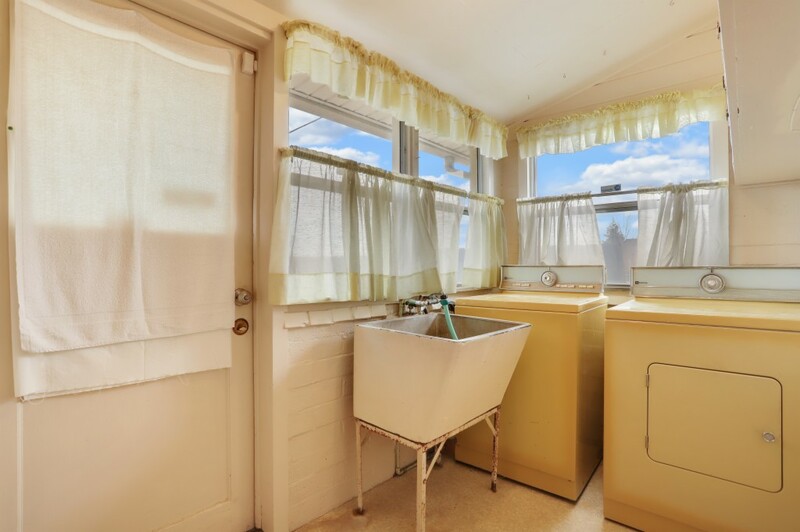 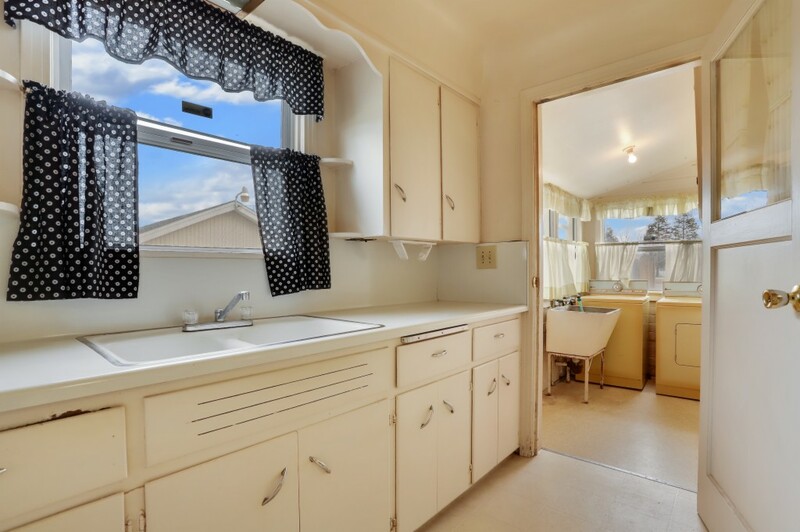 Convenient laundry area just off the kitchen has a door leading to the backyard. 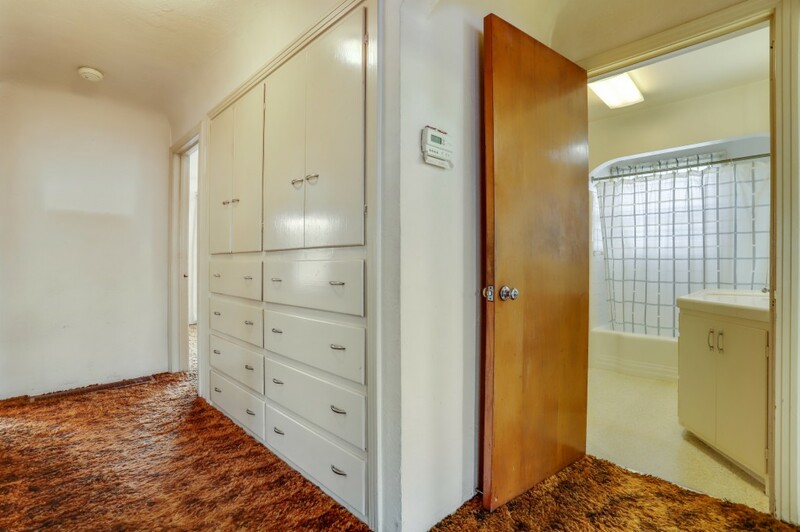 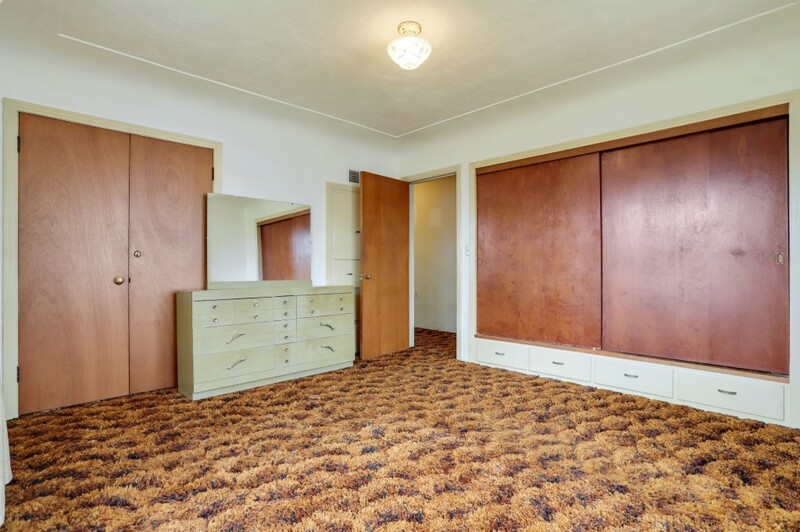 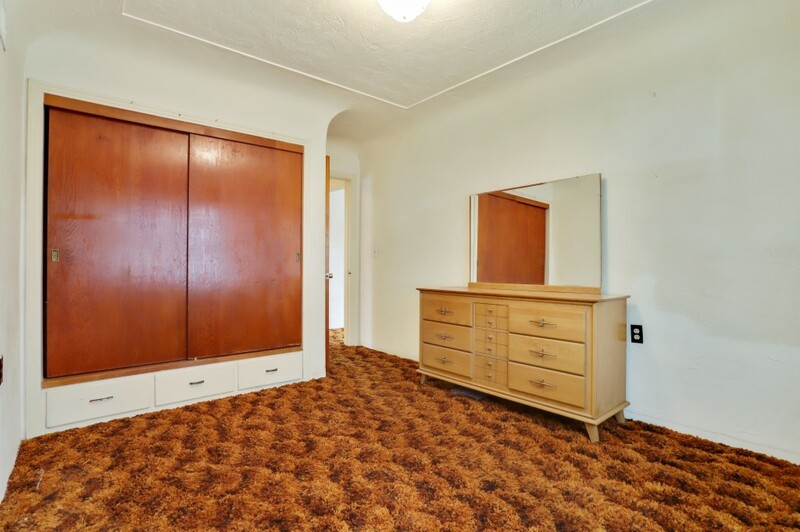 The wide hallway leading to the bedrooms and bathroom has built in cabinets for storage as do the bedrooms. 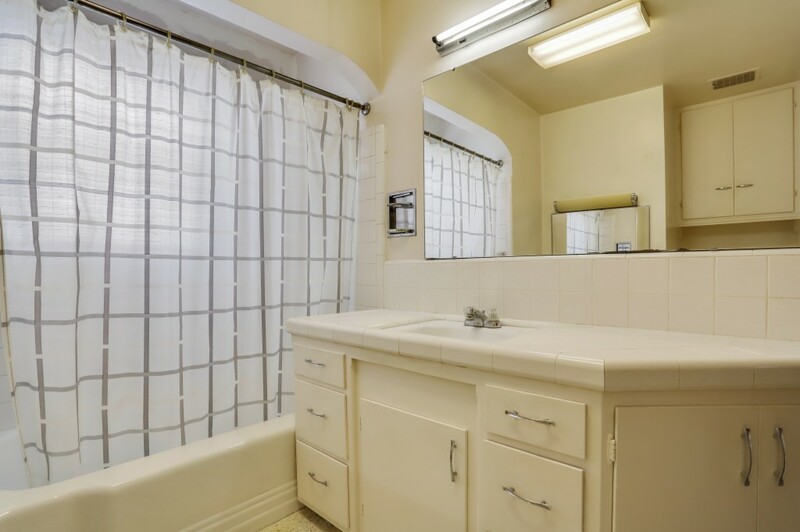 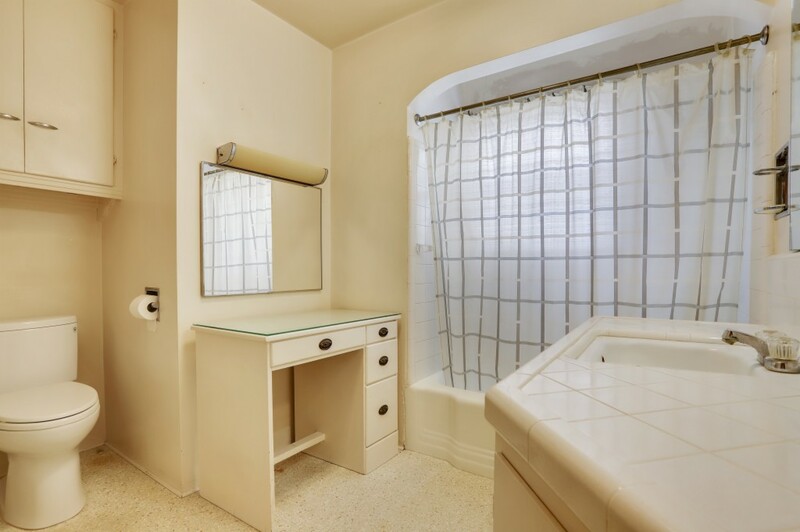 large bathroom includes vanity and many cabinets. 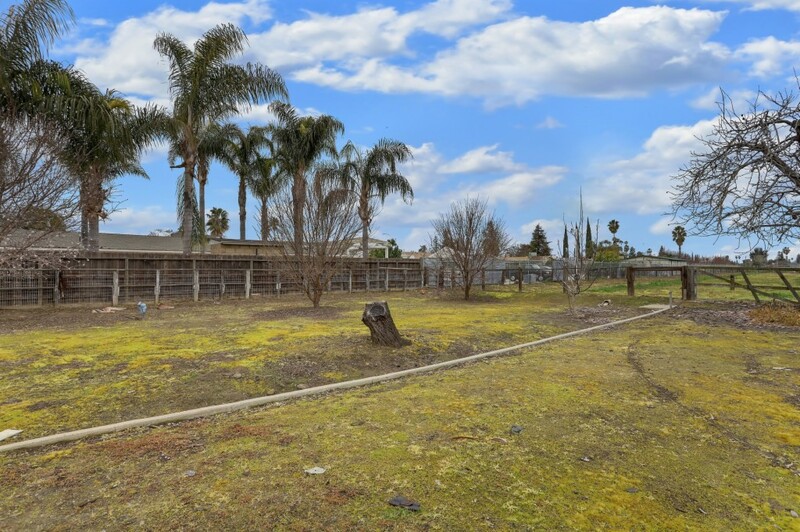 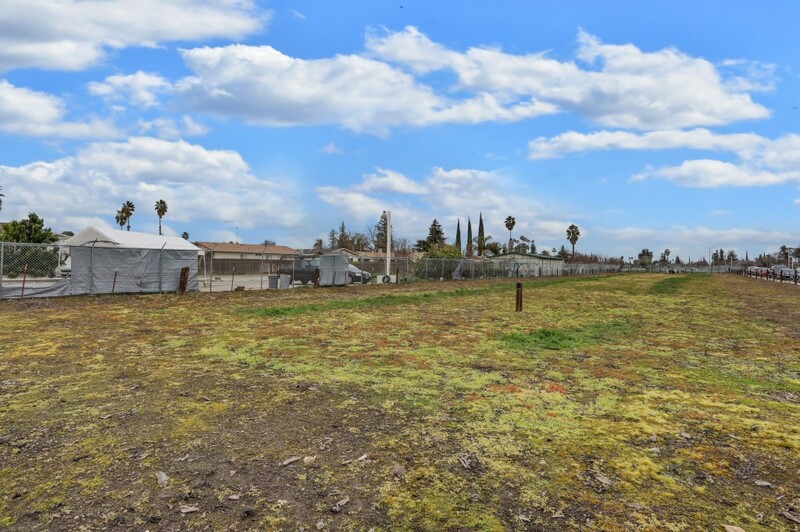 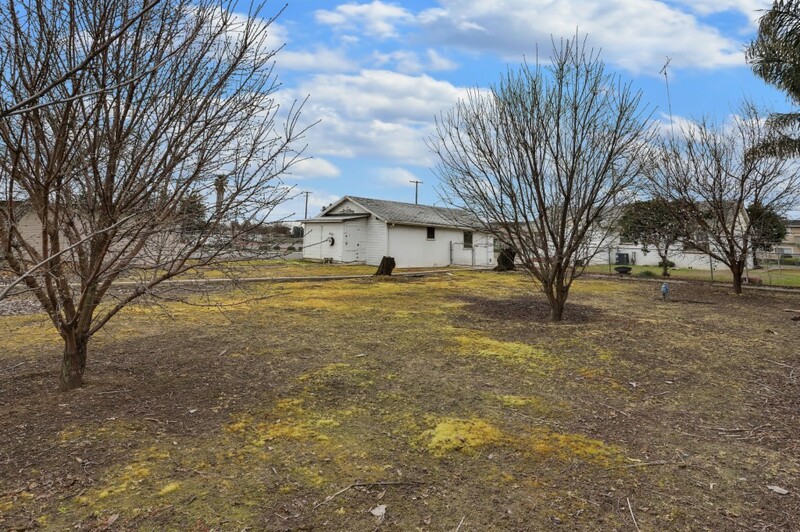 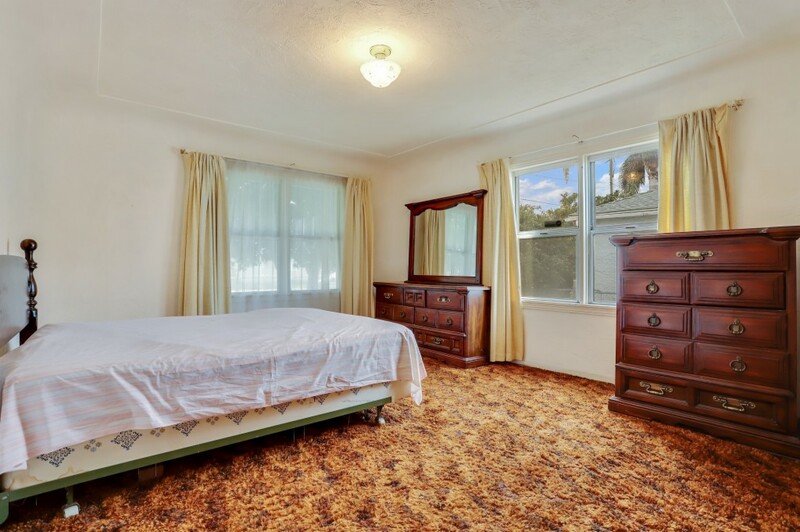 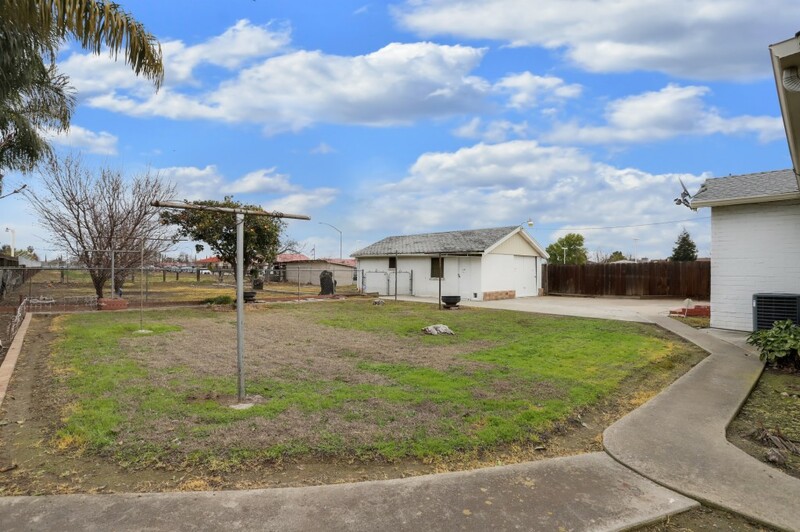 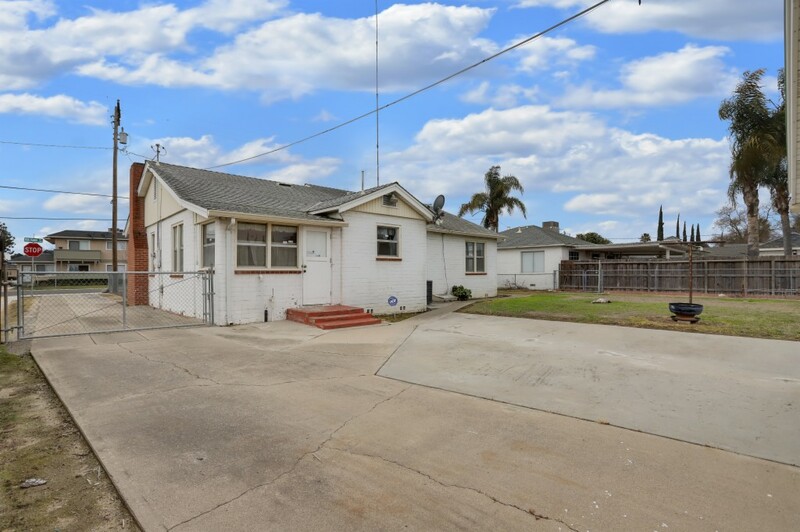 This property is fully link fenced and is perfect for outdoor family entertainment and pets. 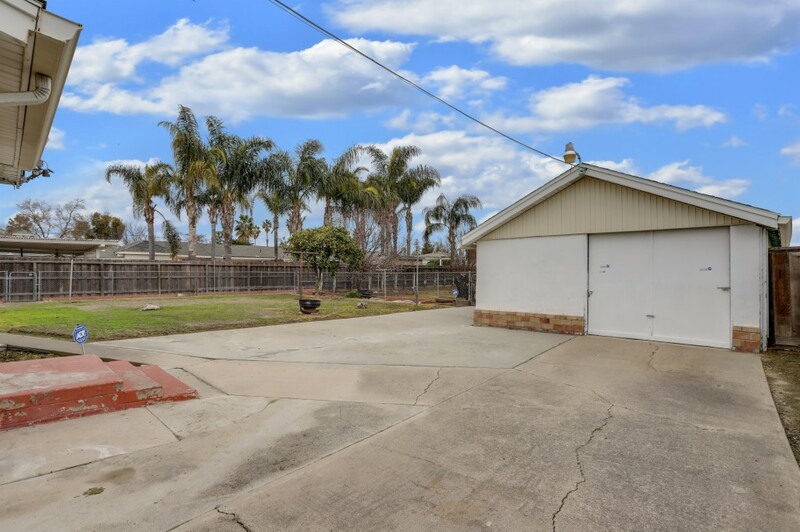 Wide driveway, perfect for RV or boat storage, leads to an extra large garage with storage area. 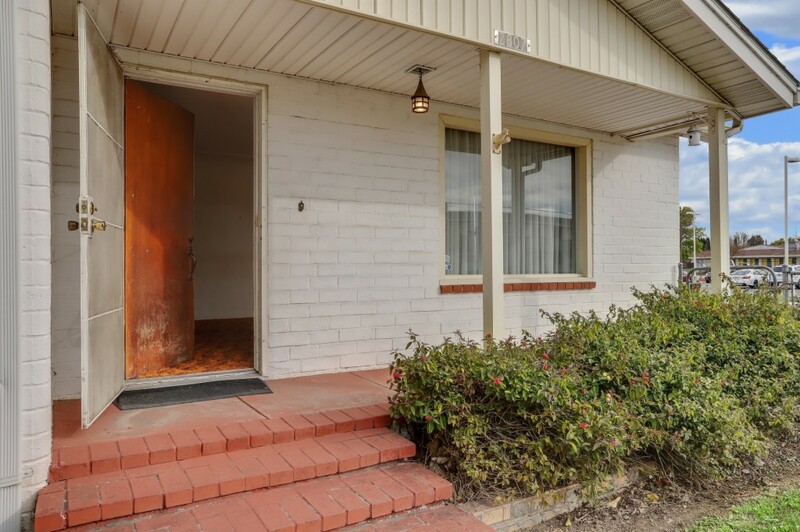 Room on side of house to add on.